Inflatable Boat Consoles There is 1 product. 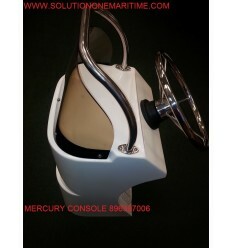 MERCURY Steering Console 896397006 Steering console that can be retrofitted into the Mercury Oceanrunner 350, 430 and 460 models. This is the console only and does not include the steering system.